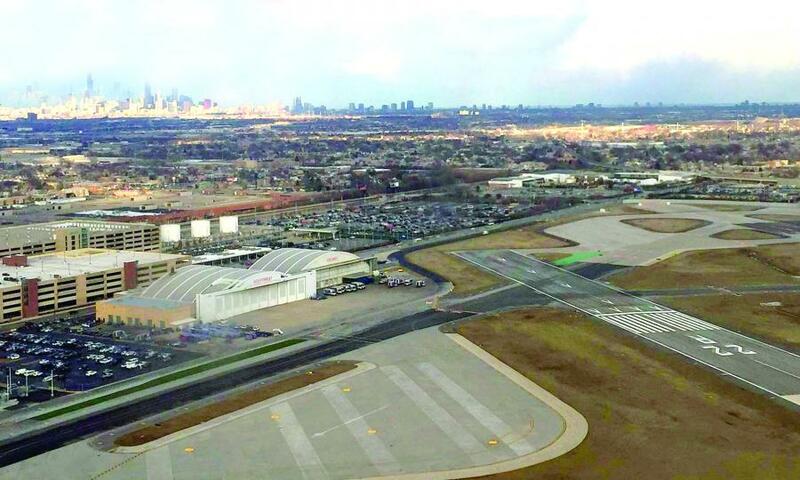 The Midway Modernization Program (MMP), the $323 million upgrade of Chicago's Midway International Airport (MIA), is well under way. F.H. Paschen is making rapid progress on the security checkpoint, bridge expansion and new concessions components of the three-part plan. 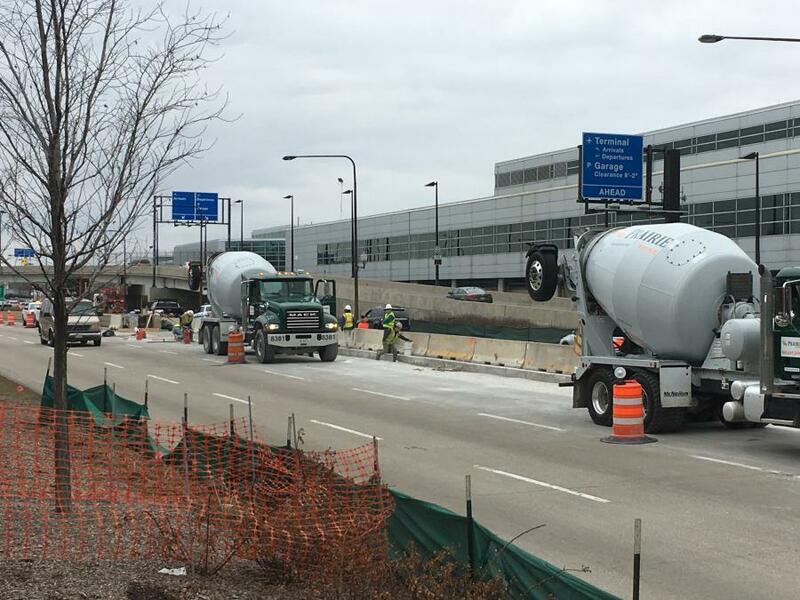 The work, which is being financed by revenues from the Chicago Department of Aviation (CDA), which operates the airport, began last October. “This is the largest improvement program at the airport in nearly 20 years,” said Ginger S. Evans, commissioner, Chicago Department of Aviation (CDA). The revamped security pavilion, which accounts for $104 million, divided into three phases, covers 80,000-sq.-ft. and it will give MDW additional security lanes, the installation of enhanced technology, and a single checkpoint system that is expected to double the TSA's screening capacity. More than 22 million people travel through Midway annually. 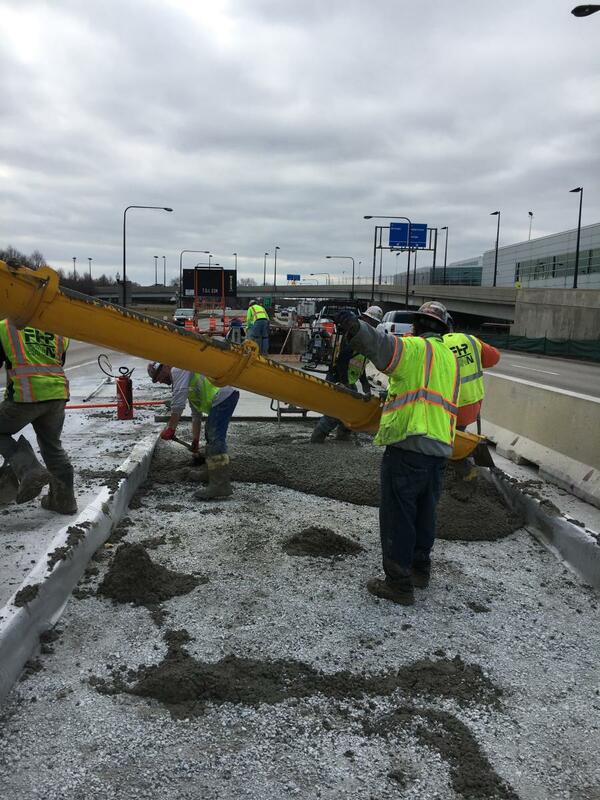 This element widens the bridge over Cicero from 50 to nearly 400 ft. and creates a new gateway to Midway and to Chicago, houses all TSA checkpoint operations, improves passenger flow and creates opportunities for efficiencies in the inspection process. It also opens up 18,000-sq.-ft. of space for new and update concessions and improved parking facilities. New automated screening lanes have been set up by the TSA. A small number of United States airports to feature this innovative technology, which is designed to improve the screening process by automating many of the functions previously conducted manually, and allow for travelers to move more swiftly and efficiently through the checkpoint. The six-phase concessions renovation and expansion component, operated by Midway Partnership, will see the total concessions area increase from 44,000 to 70,000 sq. ft. Phase 1 should be finished in May, with final delivery in the summer of 2020. According to the CDA concessions division, the expansion will offer passengers new and improved choices for shopping and dining, services and amenities. This program includes 37 food and beverage locations, and 37 retail locations featuring 55 brands new to the airport. The Midway Partnership LLC, comprised of the Vantage Airport Group, SSP America and Hudson, which is leasing the sites, is investing $75 million in this component, which should double the number of concessions jobs from 700 to 1,400. The Phase 1 work will see the creation of a new food court on Concourse A and 6,300-sq. ft. of brand new concessions space to Midway featuring 12 brand-new locations. The terminal parking garage expansion element, which should be awarded this year, will add 1,500 new parking spaces close to the terminal building by expanding the existing terminal parking garage to the east over the CTA maintenance yard. Per the CDA, the high volume of motorists driving to Midway makes the parking garage expansion one of the critical projects in the program. It also will improve traffic flow in and around Midway and enhance the entrance from Cicero to the garage, as well as improve transit access from the CTA Orange Line with an upgraded pedestrian walkway. The work is expected to start shortly after the contract is awarded, with its benefits including a wider entrance from Cicero into the garage that simplifies access and reduces traffic shifts around Midway; simplified driver navigation in the garage for fast and convenient arrival and departure; a new payment system that saves time when entering and exiting the garage; and new elevators and escalators to improve pedway access. To minimize the impact of the security checkpoint on traffic, the work was divided into three phases. The CDA is working with the Chicago Department of Transportation to mitigate and inform the surrounding community of traffic impacts. The work will require lane and road closures for several years along Cicero between 56th and 61st Streets, on Kilpatrick Avenue, and on some airport access roads during construction. The traffic plan will see Cicero maintained with two lanes open in both directions for most of construction; airport traffic able to use Central Avenue and Pulaski Road as alternates to Cicero; detours in place for periodic full road closures; message boards staged in advance of work areas displaying traffic pattern changes; and safety measures including signage, barriers, flaggers and traffic guides in place to ensure safe conditions for motorists, workers and pedestrians. For the security terminal, F.H. 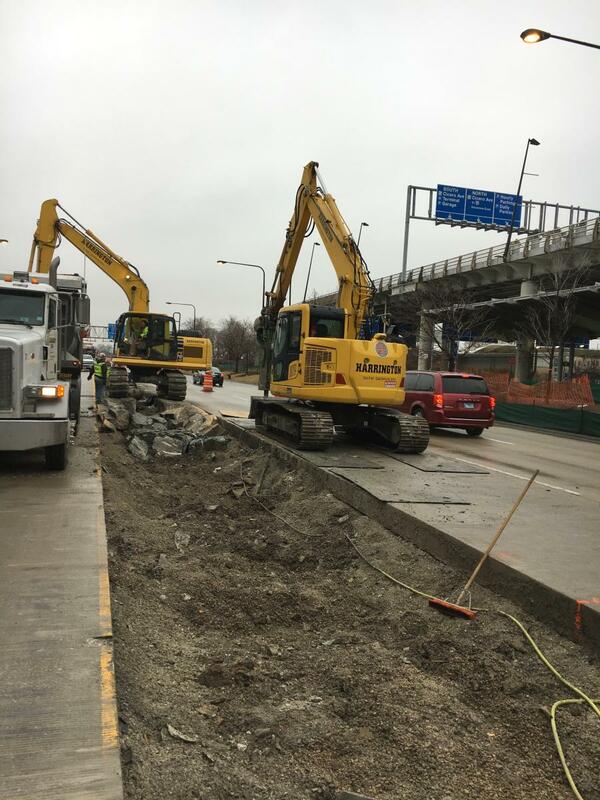 Paschen has thus far completed the demolition of Cicero median and planter, demolition of steel canopy in arrival lanes, and selective demolition for new structural steel tie in locations. 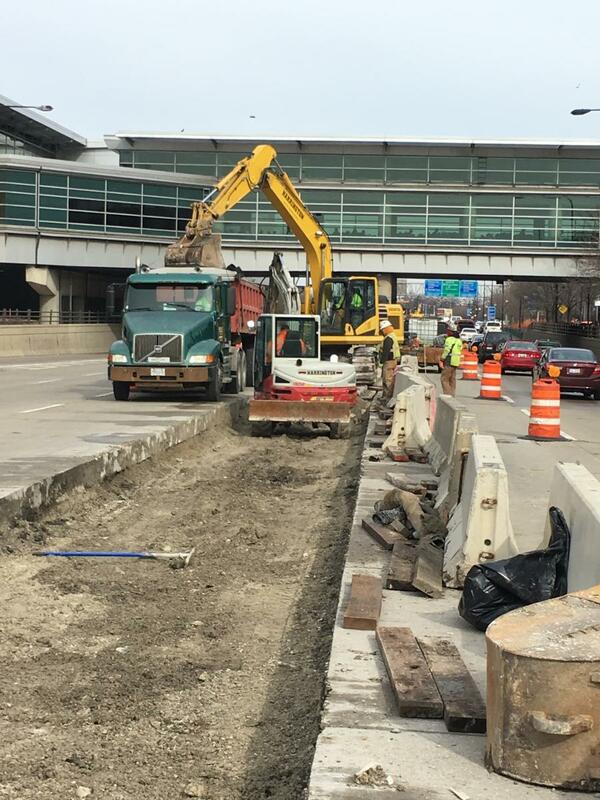 The benchmarks for the 2018 construction season are construction of the new bridge structure over NB Cicero, construction of the majority of deep foundations for the project, construction of prefabricated bridges over the CDA arrival lanes, installation of six new escalators and one new elevator and beginning the installation of exterior architectural finishes. “One of the specific challenges for this project was to look at the sequencing in a way that maximizes production efficiency while minimizing the impacts to airport operations,” said Josh Curran, a F.H. Paschen project manager. “To address this challenge, we are working in collaboration with the entire project team including trade subcontractors, the design team, construction managers and the Chicago Department of Aviation. We have presented alternative maintenance of traffic schemes on a major arterial roadway, Cicero Avenue, which is directly beneath and adjacent to this project. These alternative scenarios will minimize traffic impacts and reduce the project's overall impact on airport operations. Utility issues are being dealt with, including several underground utilities in close proximity to this project. F.H. Paschen has participated in many airport expansion projects throughout its history. On peak days thus far there are nearly 30 workers for F.H. Paschen and subcontractors at the job site. The major subcontractors thus far include: Aldridge Electric; Harrington Site Services for excavation and utility work; Alpine Demolition; and Stalworth Underground for deep foundations. Crews are working around the clock to maximize the work. “We plan to construct deep foundations in the existing arrival lanes with multiple shifts to shorten the duration,” said Curran. “Collaboration, planning and execution are paramount. The Midway passenger security checkpoint project is a unique, challenging and complex project. The team of professionals assigned to this project brings decades of experience on multiple fronts, with extensive experience working on road and bridge construction, buildings and aviation projects. Materials to be removed from the work site are still being determined, as well as new construction materials. However, at least 1,400 tons of steel will be brought in. Crews are employing a wide variety of equipment for indoor and outdoor applications, such as cranes, drill rigs, excavators, forklifts, and vacuum excavators. Stalworth purchased new equipment for their caisson rig that allows them to modify the rig and drill low clearance caissons below the existing departures roadway. F.H. Paschen purchases and rents equipment from dealerships such as Stevenson Crane and O'Leary's Equipment.